"study for a seated ballerina"
"Allegory of a Forgotten Chair"
"Before the Disappearance of July"
"In Preparation for the Wedding"
"The Eternal Sensation of December"
"Therapeutic Absolution, ch. 6, v. 34"
"study for a discarded studio"
"The Infectious Tendency of Powder"
"New York Scene, No. 1"
"New York Scene, No. 2"
"New York Scene, No. 3"
"New York Scene, No. 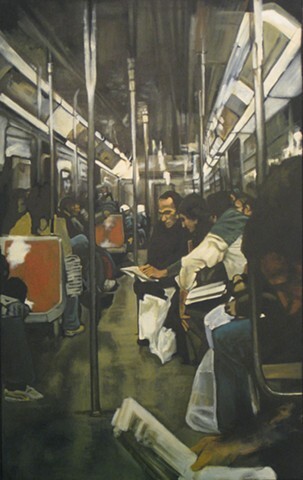 4"
"New York Scene, No, 5"